Let us plan the perfect hen party now – stress free! We know how stressful planning a hen party can be but with a High Kick Events dance hen party we take the stress of organising this actvity away. All you need to do is decide on a theme and tell us the number of people attending and location and the rest is left to us! The venue, music and instructor is all arranged and all you have to do is turn up with your best dancing shoes on. The same person will work with you from your initial booking right through to the day before your party so we can work together to create your perfect themed dance hen party! The classes are designed for maximum fun and have been catered specifically for hen parties. Our instructors are all professionally trained dancers who are full of experience and their main aim is to make this hen party, one that will be talked about for years! All our instructors are used to working with all abilities of dancers and are friendly and fun. You will be learning from the masters! All the instructors have been on stage and will be able to tell you exactly how to perform and work it to have the ultimate dance routine! £22 per person minimum of 10 people per party. £50 deposit required with the remaining balance due 2 weeks before the party. We provide the venue for you, it comes as part of the package however if you were just looking for an instructor as you have your own venue then we will bring the party to you! We have a set price for just the instructor. Contact us for a quote! High Kick Events will work with you to create your ultimate dance hen party. There are a range of themes to choose from our ever popular Beyonce Single Ladies to the very glamorous strictly themed dance party. However if none of our set themes take you fancy we will work with you to create a bespoke theme featuring your hen’s favourite songs. Each dance hen party last 2 hours. The two hours includes a fun warm up, games, dance battles and culminates in a routine using all the iconic dance moves of your chosen theme! Which if you’re brave enough can be performed at the wedding reception or at least on the dance floor later on that night! Every participant of the party receives a special certificate and of course a complimentary bottle of bubbles for the hen! Throughout the party your instructor will take photos and will even record the end routine for you so that you will be able to keep this memory forever. Give your hen a party they won’t forget! Now although High Kick Events are specialists in dance hen parties, we can also cater to any dance parties. Who says that getting married needs to be the only reason to throw a fantastic themed dance party! If you are looking for something slightly different for a birthday party or perhaps another celebration then look no further than a themed dance party. All the elements of fun and games are the same as a hen party and High Kick Events will work along with you to create the best celebration dance party you could ever have imagined! 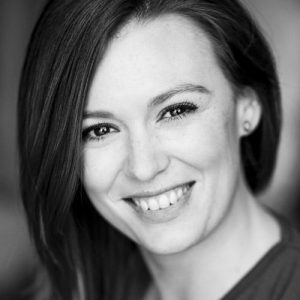 Hannah trained at Millennium Performing Arts, graduating with a National Diploma in Musical Theatre. Credits for TV and stage include ITV, Barclaycard and The Michael Clarke Company. Hannah is a strong and versatile dancer who loves to perform. She has been trained in ballet, jazz, contemporary and tap. Hannah has also been trained in singing and acting. She loves to perform and has taken that passion into dance events.